Wearing our ankle supports can be a great way to protect and support an injured ankle. By better controlling the movement and function of your ankle and foot as you walk run or jump it can help reduce risk of injury to a weakened ankle after a sprain. 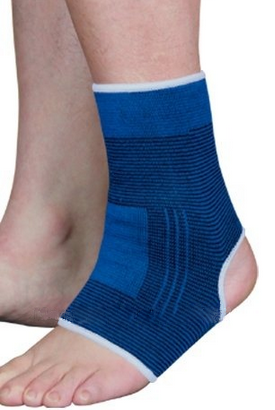 Nuova Health ankle supports also provide compression helping to alleviate painful symptoms. Our ankle supports are made from lightweight, breathable medical grade neoprene for superior comfort and strong pain relief. What do you need to know about sprained ankles? When ligaments around the ankle joint become damaged this is often the result of a sprain and is usually accompanied with ankle swelling and pain. Ankle sprains are usually caused by quick twisting and turning of the ankle joint which can be quite a problem if you love playing sport as it can be unavoidable in sport with the quick and sudden movement and loads on the ankles. An ankle sprain can either be an eversion injury (caused when the ankle is twisted or pushed outwards) or an inversion injury (caused when the ankle is twisted or pushed inwards) which is more common. With an inversion ankle sprain the damage usually affect the ligaments found on the outside part of the ankle such as the Anterior Talo Fibular this ligament connects both the talus bones to the fibular bone. However in more serious ankle sprains the Calcaneo Fibular ligament can also become damaged. With an eversion ankle sprain the ligament damage is usually on the ligaments found within the ankle itself for example the deltoid ligament. The deltoid ligament is incredibly strong and flexible and can take a lot of pressure and force until it becomes damaged. First degree sprains are the least serious and are when only a few ligaments fibres have been damaged. Second degree sprains are a little more serious whereby swelling may result and there is quite a bit of damage to the ankle ligaments. Third degree sprains are the most serious and when the ankle ligament is substantially damage and there could even be a dislocation of the ankle entirely. A third degree sprain is usually extremely painful and can be so bad that it can cause deformity of the ankle. The best thing you can do to help treat a sprained ankle is to act as soon as possible using the PRICE protocol. 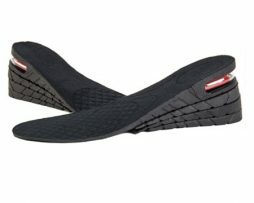 Protect– ensuring that the sprained ankle does not get damaged even more. 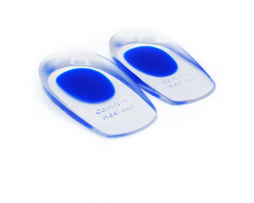 Our ankle supports are designed to protect the ankle from further damage. Rest– take off all strain and load from the ankle and affected foot to help both protect the ankle and foot and to ensure that your body can get to work and heal the sprain properly. Ice, compression and elevation – Sprains usually result in inflammation, ice can help soothe and reduce inflammation as well as numb pain. Elevation helps circulate the blood and prevent blood clots and keep the blood flowing helping with recovery. 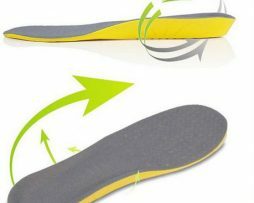 Ankle supports as well as shock absorbing orthotic insoles can be worn once your ankles have recovered and you want to be getting back on your feet. Both ankle supports and orthotic insoles help to protect the ankle from shock and pressure and take off some the load form the ankle. In the most serious cases of sprained ankle it is recommend to see an orthopaedic specialist who will examine the extent of the damage to the ankle and will prescribe the best tailor made treatment for you. Usually physiotherapy is the most recommended course of action for those suffering with sprained ankles, by gradually helping to strengthen the weakened ligaments and supporting muscles. As a sprained ankle will affect the overall form and biomechanics of the ankle and foot , sprained ankle sufferers may adapt how they use their ankle and foot to help ease pain, whilst this may seem like a good idea at the time this can have other consequences from affecting gait to contributing to biomechanical imbalances that can increase risk of other injuries later on, physiotherapy helps to maintain good form and function in the ankle and foot to ensure that this does not happen and you do not fall into any bad habits. I broke my ankle a couple weeks ago and now that I am back on my feet I needed something that would protect my ankles and support them… this ankle support is proving really good so far and is support my ankle in all the right places that I need! SO THANK YOU!